Explanation: From martian orbit, the Mars Express cameras looked down on the largest volcano in the solar system. 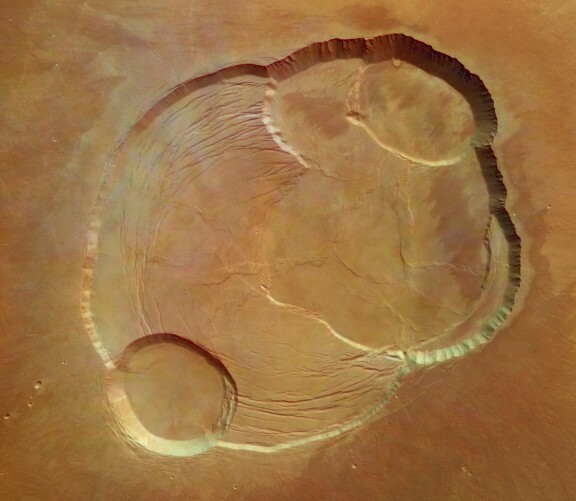 The result was this stunningly detailed overhead view of the caldera or summit crater region of Olympus Mons. Fittingly named for the lofty abode of the gods of Greek mythology, Olympus Mons rises 21 kilometers above the surrounding plain or to about 3 times the height of Mt. Everest. 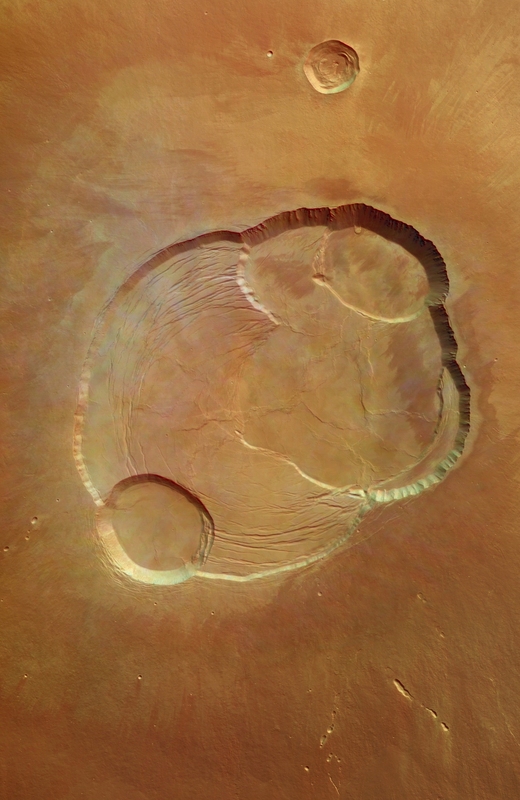 The area pictured is 102 kilometers across and the caldera pits are up to 3 kilometers deep. For comparison, hawaiian volcanic calderas range up to 18 kilometers in diameter. Outlined by steep cliffs, Olympus Mons itself is about 600 kilometers in diameter.